We can’t live without a bowl of delicious healthy salad every day and strongly believe it should be part of every dinner. There’s no doubt about the health benefits that salad provides us. It’s full of nutrient-rich ingredients – veggies, fruit and leafy greens. So we make sure to constantly renew our arsenal of recipes to include more of this healthy deliciousness, and you should too. While there are thousands of great salad recipes, we’d like to offer you only the best. It’s a subjective list and opinions may vary, but these 50 healthy salad recipes are certainly fantastic. We’d like you to try them and we have no doubt that you’ll find your favorites here too. As a salad recipe made for the season of fall, this meal is very rich in flavor and nutrients. It has it all – fruit, berries, nuts, and even bacon and cheese, all topped with a delicious Maple Dijon vinaigrette. Similar to the previous salad, this one reaps the health benefits of kale and quinoa seeds. It’s a great flavor combination of a salad for health freaks and just about anyone who appreciates a tasty salad. This hearty salad can easily be a dinner meal and it will be appreciated by everyone. The winning combination of chicken, bacon, and avocado with an exquisite honey mustard dressing is something to look forward to. Creamy cilantro dressing gives this chicken salad a unique flavor. 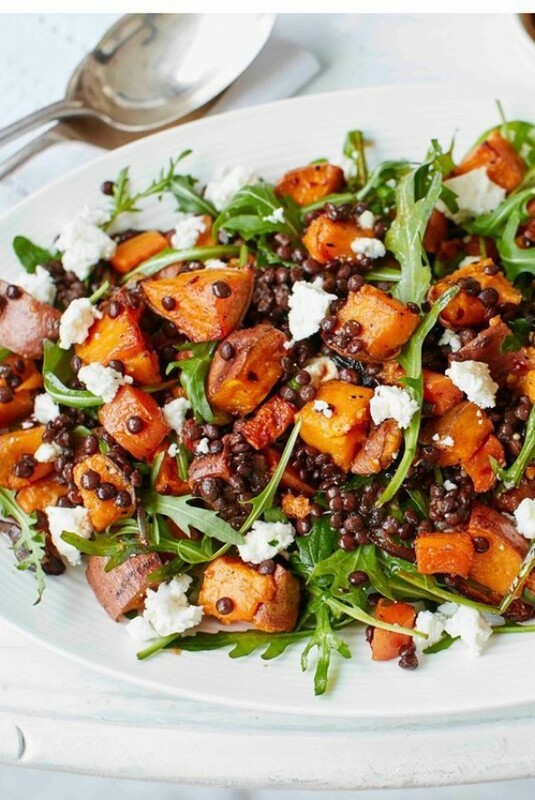 The salad is hearty and rich in nutrients – perfect for a nice dinner. We’re certain you will love the savory sweetness of this wonderful salad. The combination of blueberries and veggies may be surprising but it’s a winning one. One of the classic salads that has to be one of the best as well. The simplicity and great taste is the hallmark of the BLT Cesar salad. Try the perfection. Fresh salad with a tasty and easy cilantro dressing that may very well become your favorite. Prepare and enjoy this healthy deliciousness as a side or as the main meal. If you’re looking for an easy but rich in flavor side dish, this apple salad is worth a try. Crispy apples, savory-sweet cranberries, nutritious walnuts, and hearty feta cheese come together as a winning combination of great taste. This is one of our all-time favorites. The tomato and basil combination is only improved by avocado and mozzarella to make a fresh but hearty salad as a side or a main dish. This one is for our Mexican food fans. If you like your food spicy, this zesty chicken salad with hot sauce dressing will definitely become one of your favorites. Use any leftover chicken to make it, or if you’re vegetarian, chickpeas go well with it too. Another fresh salad for your dinner table and it’s very rich in flavor and crispiness. The combination of strawberries and bacon may be surprising but it works so very well. The delightful cilantro lime dressing makes this salad quite refreshing but it’s also a filling meal. With lots of veggies, corn, and beans it can be served as the main dish. This classic American Cobb salad is hearty and filling as a main dish. Its flavor rich taste topped with blue cheese dressing will leave you satisfied. Want a salad that your entire family enjoys? Try this BBQ chicken salad. It’s rich in flavor, hearty and filling – a true delight as the main meal for dinner. Crunchy broccoli and cauliflower with crispy bacon and cheese in a salad proves that broccoli can be interesting and very tasty. Try this healthy and flavorful salad. For an exquisite taste salad, try this Roquefort pear salad. It is packed with nutritious veggies, pecans, cheese and dressed in delicious vinaigrette – truly a winning combination. Cucumber may not be a very flavorful veggie but when combined with other ingredients it gives that tasty crunchiness to be desired. Try this lovely cauliflower corn salad with a creamy mayo dressing. What makes this salad great is that it’s very easy to prepare – just toss the ingredients together. The flavor is enriched by Italian meats (pastrami, salami, etc.) and the delicious Italian herb dressing. As a copycat dish, this oriental salad is made delicious by its rich choice of healthy ingredients and a delicious honey Dijon mustard dressing. Try it, especially if you like the Applebee’s salad. One of the main benefits of healthy veggie salads is their ability to detox your body. That doesn’t mean they can’t be delicious at the same time. 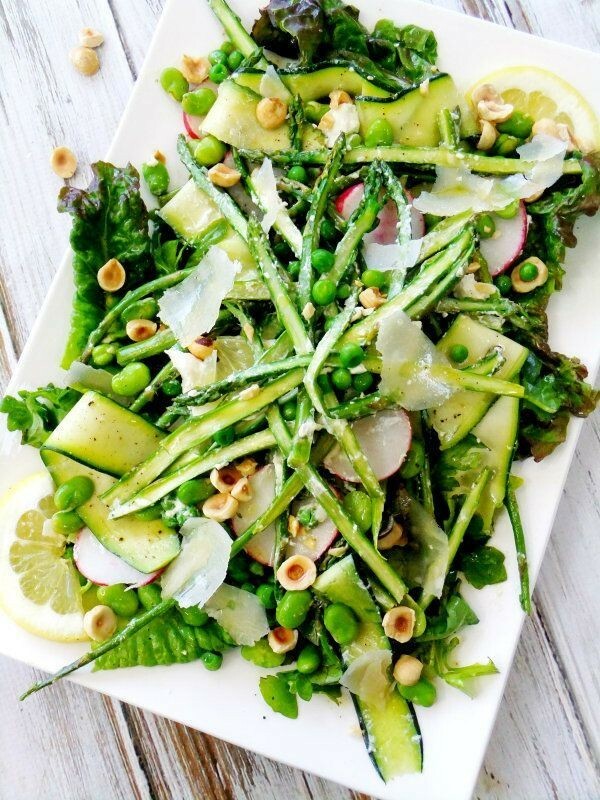 You’ll love this veggie and almond salad. Sliced strawberries, cucumbers, spinach, apple cubes, feta cheese, and walnuts are combined. The dressing includes honey, olive oil, and seasonings. This salad combines a range of Italian vegetables, herbs, garbanzo beans, vinaigrette, lemon juice, and Parmesan cheese. The vinaigrette is made with fresh herbs like garlic, oregano, basil, olive oil, lemon juice, kalamata olives, Parmesan cheese, and red wine vinegar. The recipe consists of fresh romaine lettuce, almonds, mandarin oranges, cilantro, sesame seeds, grilled chicken, and won-ton pieces. It’s topped with a sesame vinaigrette. The salad requires one grilled chicken breast, mozzarella balls, seasonings, diced avocado, cherry tomatoes, fresh basil, Spring salad mix, and a home-made balsamic vinaigrette. The recipe for this salad combines mixed greens, apples, cranberries, pecans, chopped green onions, apple pieces, and cut slices of brie cheese. A dressing is made of honey, cider vinegar, olive oil, and seasonings. Fresh green beans, kidney beans, and garbanzo beans are combined with chopped celery, onion, and fresh parsley. The dressing is made up of sugar, olive oil, cider vinegar, Dijon mustard, and ground black pepper. This Thai recipe combines slaw mix, broccoli, carrot matchsticks, bell pepper, cilantro, shredded rotisserie chicken, Thai peanut sauce, cucumbers, peanuts, and lime juice. 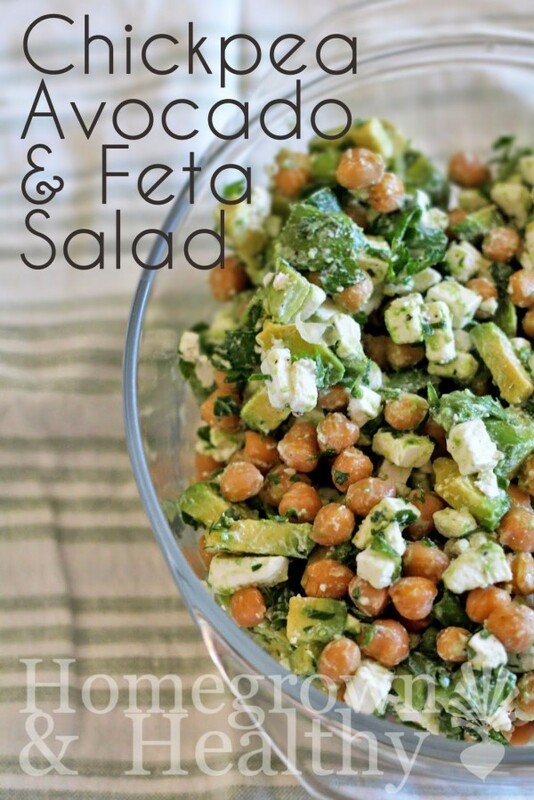 This salad requires a can of chickpeas, 2 diced avocados, a generous amount of chopped parsley, feta cheese, lime juice, green onion, salt, and pepper. Avoid crushing the avocado and cheese. This Asian recipe calls for any variety of cucumber or a combination of different varieties, combined with bell pepper and red onion. The dressing is made of honey, rice vinegar, sesame oil, and soy sauce. Add sesame seeds and seasonings to taste. Three cans of tuna are combined with one diced cucumber, two avocados, a red onion, lemon juice, cilantro, olive oil, sea salt, and pepper. The vegetables and other ingredients are drizzled with olive oil, lemon juice, and seasoning. This recipe combines raw beets, carrots, baby spinach, diced avocado, almond slivers, uncooked quinoa, and a package of frozen edamame. The mixture is then topped with a mix of olive oil, lime juice, apple cider vinegar, maple syrup, Dijon mustard, herbs, and spices. This recipe combines quinoa with strawberries, blackberries, blueberries, and mango. It’s then topped with a honey lime glaze. Uncooked quinoa is combined with roasted red peppers, black olives, fresh or canned corn, red onion, feta cheese, and cilantro. A simple vinaigrette dressing is used with the mix. This is one of several healthy salad recipes that can be used to detox. Cauliflower, broccoli, carrots, kale, and cranberries are combined with ginger, oregano, parsley, lemon juice, and lemon rind. Cucumber, tomato, red onion, feta cheese, green pepper, kalamata olives, and avocado are mixed with olive oil, red wine vinegar, salt, pepper, and oregano. Oregano can also be used as a garnish. Tortilla strips are combined with romaine lettuce, kale, pepitas, avocado, and cilantro. It’s topped with a Caesar dressing. Green beans are boiled for 4 to 5 minutes then kept on ice to prevent further cooking. They’re combined with salt, sugar, olive oil, lemon juice, garlic, and whole grain mustard. Peppers of different colors are combined with red onion, parsley, rice vinegar, sesame oil, sea salt, and pepper. The ingredients are mixed and refrigerated. This Mexican salad combines fresh corn, garlic, lime juice, salt, black beans, red onion, cilantro, and cotija or feta cheese. The dressing is made of honey, lime juice, yogurt, paprika, and cumin. This salad requires roasted, shredded chicken, avocado, red onion, kalamata olives, a jar of tomatoes, feta cheese, and pine nuts to be combined. The dressing consists of olive oil, Greek yogurt, mayo, and a combination of herbs and spices. Baby spinach is combined with orange slices, candied pecans, avocado, cranberries, feta cheese, olive oil, and lemon juice. The lemon juice and oil are combined in a bowl, then the other ingredients are added. Broccoli, celery, grapes, and sunflower seeds are combined with dried cranberries or raisins, mayo, yogurt, sugar, and white vinegar, for a slightly sweet and light taste. 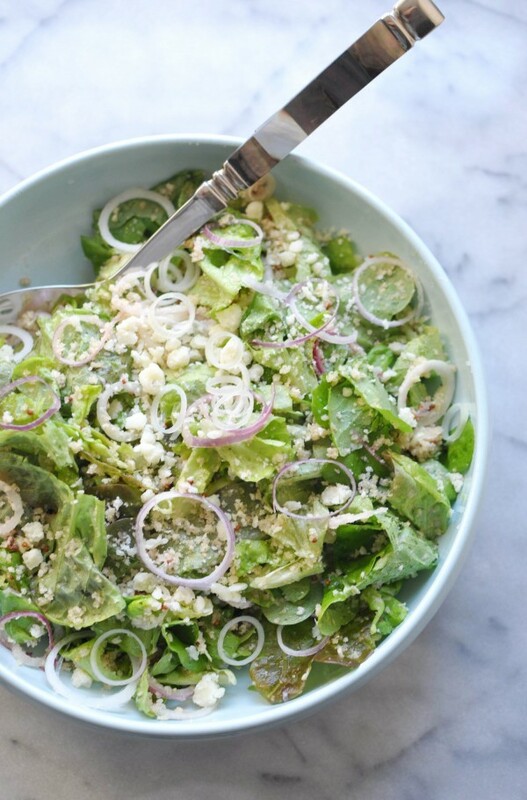 Butter lettuce is combined with red onions, panko bread crumbs, and Romano cheese. Wine vinegar, olive oil, pepper, salt, and sugar make up the dressing. 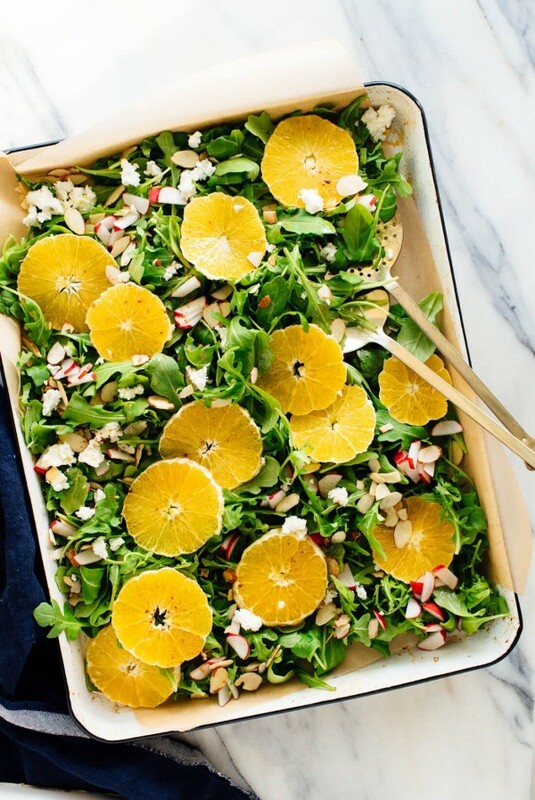 Orange slices are combined with arugula, almonds, goat cheese, radishes, and ground cinnamon. A dressing of olive oil, honey, salt, and lemon juice is used to add flavor. 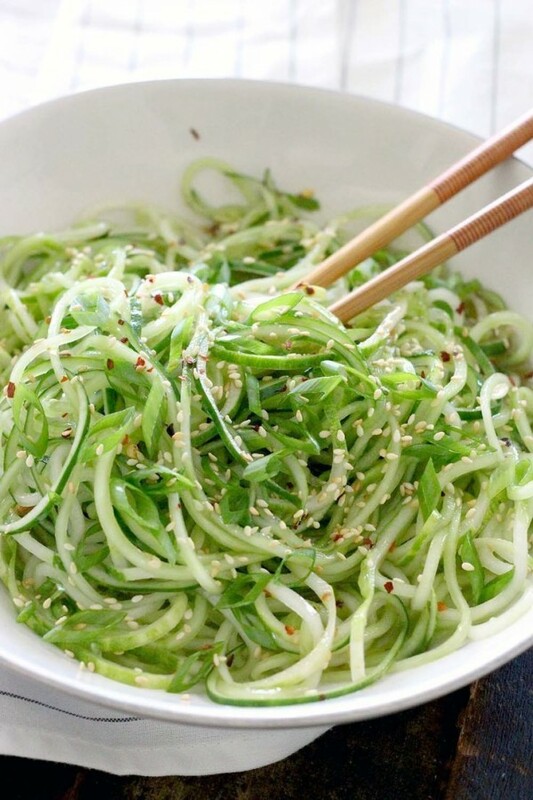 Two spiraled cucumbers are combined with sesame oil, rice vinegar, honey, salt, chili or other pepper flakes, green onions, and sesame seeds. Kale is massaged in olive oil and salt to make the taste milder. Butternut squash is baked and nuts are roasted. The berries, nuts, squash, cranberries, and goat cheese are combined. The mixture is drizzled with a simple dressing of mustard, maple syrup, vinegar, olive oil, and salt. A bunch of asparaguses is roasted. It’s combined with a variety of peas, toasted hazelnuts, and lettuce. Lemon juice and olive oil are combined with goat cheese to season the mix. Garlic and tomatoes are roasted, then added to cooked lentils. Red onion, celery, and red pepper are added, along with a olive oil, lemon juice, and crushed red pepper. Roasted or pre-cooked beetroot is combined with goat cheese, olive or walnut oil, arugula, walnuts, oil, vinegar, garlic, and seasonings. This is a unique recipe if you’re looking to do something new with beets. Carrot, Sweet potato, and onion are baked with olive oil and chili flakes. The combination is then spread over pre-cooked lentils. Feta cheese, vinegar, and olive oil are then added to the mixture. best to eat and its all looks so pretty i will try . god blessed you all.